Let’s face it, accidents happen, which may result in a dental emergency. Often, when a dental emergency occurs, many are unprepared and don’t know how to respond to the situation. How you respond to a dental emergency is absolutely critical. During a dental emergency, time is of the essence. As a result, you must know how to quickly respond to the emergency to promote a more promising outcome to a bad situation. As your emergency dentist in Mount Pleasant TX, we are here for you during emergencies. We know how stressful and scary an emergency can be, which is why we are here to make emergencies a bit easier with need-to-know information. 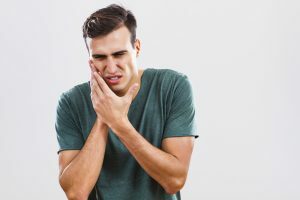 What Do I Do If a Tooth is Knocked Out? A knocked out tooth is among one of the scariest and most common dental emergencies. No matter if a baby tooth or permanent tooth has been knocked out, an emergency dentist is needed. If a baby tooth is knocked out, find the tooth and keep it moist by placing it in a cup of milk and head to the dentist. If a permanent tooth has been knocked out, rinse the tooth with water. Don’t use any cleaners and don’t dry the tooth. Try to reinsert the tooth back into the socket without touching the root. If you can’t reinsert the tooth, keep it moist. You can either place the tooth in a cup of milk or place it on the inside of your cheek. Head to our office right away. We can often successfully reinsert the tooth. Is a Cracked Tooth an Emergency? Yes, a cracked tooth is an emergency and you will need to see your emergency dentist. If you’ve broken a tooth, rinse your mouth with warm water to clean the area. Apply a cold compress to the area and head to the dentist. We will provide the restoration needed to restore the tooth’s health and function. If you’ve suffered a small chip, this isn’t an emergency in most cases, however, you’ll still want to call your dentist. What If Something is Stuck in My Teeth? Most often, this isn’t an emergency. You can’t try to remove the object that’s stuck in your teeth with floss. Never use a needle or other object to try to dislodge whatever is in your teeth. If you’re unsuccessful removing it, you’ll need to call your dentist. What If I Have a Toothache? A toothache is often a sign of an underlying problem. The severity of the pain will help to determine if you need to see an emergency dentist or if you need to schedule an appointment. If the pain is severe or there’s an abscess, you need an emergency dentist. If the pain is minor or the tooth is a little sensitive, this isn’t an emergency but you’ll still need to see your dentist. As your emergency dentist in Mount Pleasant TX, we are always here for you. If you have a dental emergency, call your local dentist serving 75455.